A kinda late post for tournament for big and expensive fleets. After taking a break from youtube and life in general for a month I decided to come back to this tournament so here goes the rules. >No craft may have more than a total of 3 layers of kinetic (Distrupt and/or reflect) shields of a total strenght of more than 12 over any given part. At the same time, no craft may have more than one layer of laser absorb shields. Its strenght can not be higher than four. Accidental clipping of more layers of shields will be judged by me on a case-by-case basis. Deliberately breaking the rule will result in your submissions being rejected. Submissions are open till march 1st 5:00pm IST. only 1 submission per person . 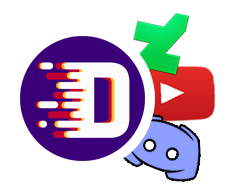 You can submit via discord or via forum post reply. Winners will get a discord role , a virtual cookie and a custom fleet icon/logo design from me. Is there any chance you can extend the submission period? This 5 days to build a decent 600k craft/fleet. Most people have school/work during the day and anyone who doesn't check this forum daily will be at a massive disadvantage. Everything in From the Depths can be solved by a large amount of high-caliber HE shells.